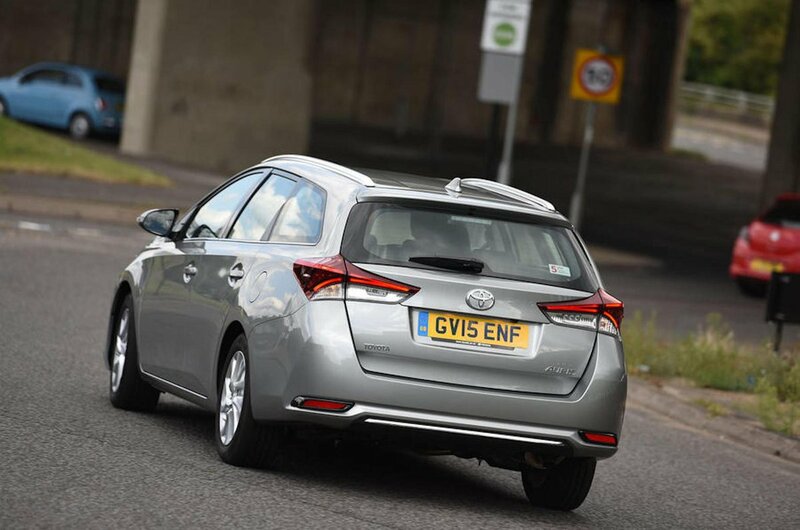 Toyota Auris Touring Sports Boot Space, Size, Seats | What Car? The boot is a good size and there is no lip to contend with when lifting things into and out of the rear. A lever in the boot drops the rear seats and doesn’t leave an awkward slope or step. However the wheel arches take up a bit of room in the boot, and there are also two compartments on either side, so it leaves it with a more narrow loading bay than the wide opening would suggest. 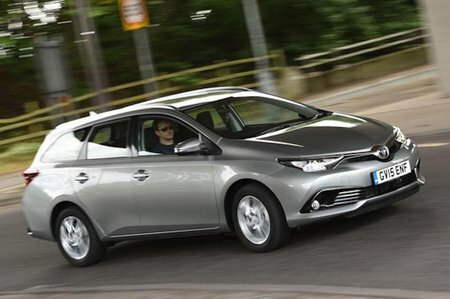 In terms of size, the Auris Touring Sports’ boot is smaller than the Skoda Octavia Estate and Volkswagen Golf estate (although the Toyota’s maximum capacity with the seats down surpasses the Golf), but the Ford Focus Estate is smaller than the Toyota. 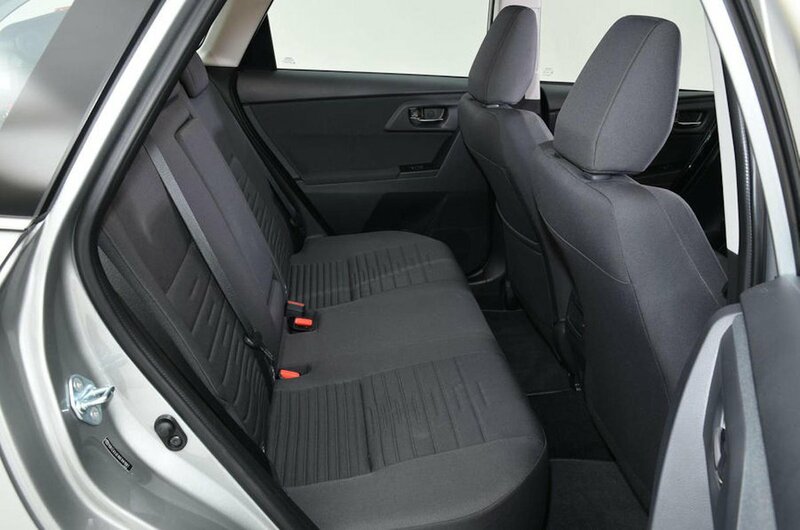 Up front, the head and leg room is at least as generous as that offered by Toyota’s many rivals in this segment. There are some useful storage compartments dotted around the front as well, including a large glovebox and two cup holders. In the back it’s still fairly tight for space, though, like it is in the hatchback, because for the estate model most of the extra length has gone into making the boot bigger. Head room is only average for the class for rear passengers, and the optional panoramic sunroof does eat into it even further.